Malaysia Day (Hari Malaysia) is one of the national holidays in Malaysia. It celebrates the establishment of the Malaysian federation on September 16, 1963. It should not be confused with Malaysia's Independence Day, which is observed on August 31. 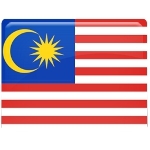 In 1957, the Federation of Malaya achieved independence from the United Kingdom. In 1961, Prime Minister of Malaya Tunku Abdul Rahman began to promote the idea of forming the new state, Malaysia, that would comprise Malaya, Brunei, North Borneo, Sarawak and Singapore. However, Brunei decided to withdraw from the merger due to a number of reasons. After negotiations with the British government, it was decided that Malaysia would be created on August 31, 1963 (the sixth anniversary of Malayan independence). However, due to the opposition of the governments of Indonesia and Philippines, the formation of the federation was delayed until September 16 of the same year. Originally the federation of Malaysia comprised Malaya, Singapore, Sarawak, and North Borneo, but Singapore was expelled from the federation in 1965. Malaysia Day was officially designated as a public holiday in October 2009. Thus Malaysians celebrate two national holidays dedicated to their country's independence.